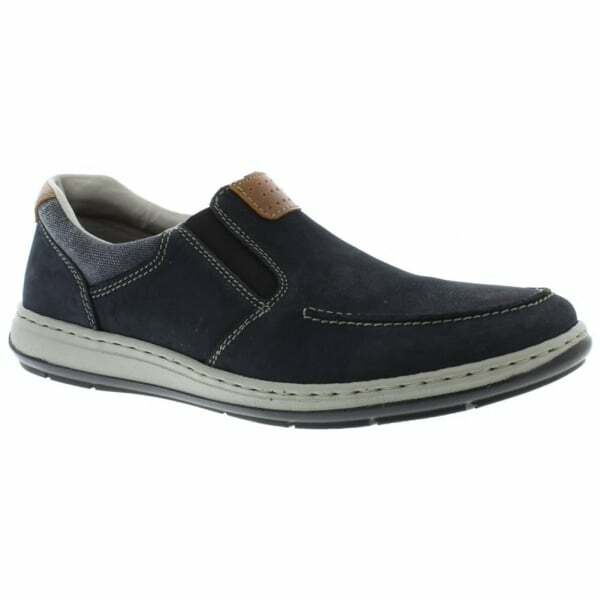 The Rieker 17360 men's slip on casual is a practical and durable loafer style shoe for everyday wear. Free UK delivery*. Lighter than your typical men's shoe, Rieker uses the best materials to create supportive, comfortable and breathable footwear for a large variety of feet. It features a leather upper with padded collar for comfort, twin elastic gussets for easy on and off, cushioned insoles and a durable and flexible sole - ideal for all day wear.